Do you hear the sleigh bells ring-a-linging? ‘Tis that time of year again to get all your good deeds in to end up on the nice list for Santa Claus! Now, as a grownup, I still believe in the magic of Christmas and what it brings to everyone. Part of lifting up my mood is filling my home and my heart with delightful scents and sights of the holiday season. 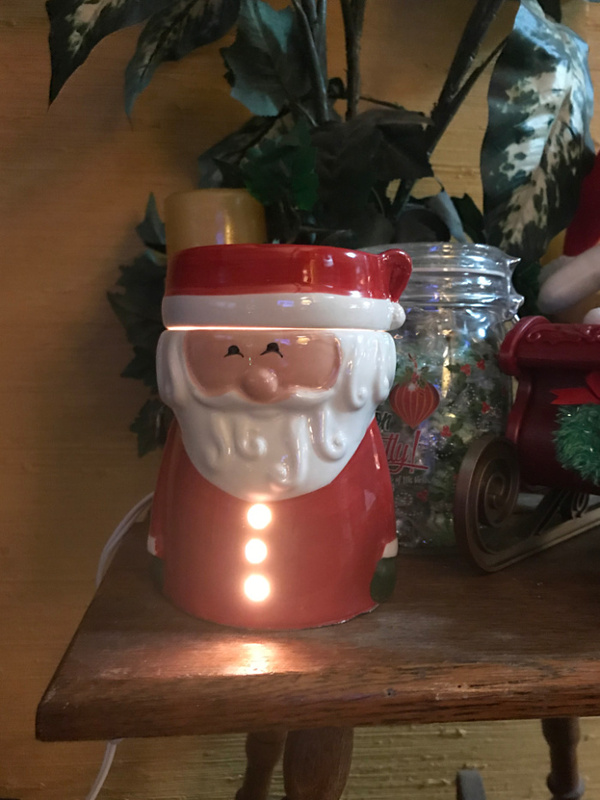 That is why I absolutely love this Santa Claus Illumination warmer by Candle Warmers. In 2000, entrepreneur Bart Kennington was exposed to the dangers of lit candles after an unattended candle sparked a fire that destroyed a neighbor’s home. Realizing the significance of the problem, Bart set out looking for a solution and turned to a mug warmer he was given as a gift. He realized that the mug warmer was the perfect solution to release a candle’s fragrance without the need for an open flame. Following a hunch, Bart spent nearly all of his family’s savings and purchased five thousand mug warmers, introducing the world to a safer alternative to burning a candle. With over ten thousand house fires each year in the U.S. attributed to burning candles (according to the National Candle Association), Bart’s idea caught on quickly. Within a few years Bart’s young company had grown to include all four of his children and several other family members. Candle Warmers Etc. was now selling a variety of candle warmers to over ten thousand gift stores across the United States. This candle warmer is the perfect statement piece for any home this Christmas season. It has the bright, color look of Santa with the warm glow of holiday goodness in his buttons. Adding a cube or two of holiday wax melts in his cap will get your home scented delightfully great for Christmas. 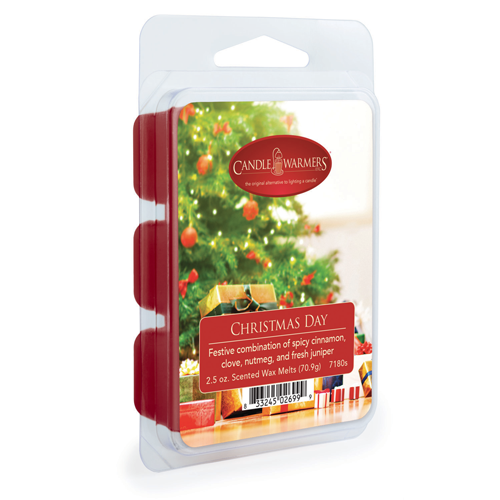 With the perfect warmer, comes the perfect scents of the holiday. 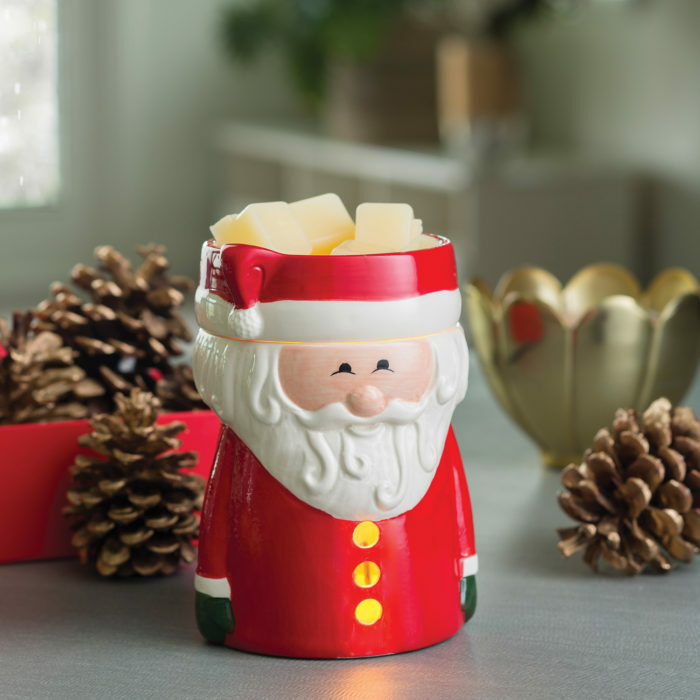 Candle Warmers has seasonal wax melts scents like Balsam Fir, Spiced Pear, Caramel Apple and more to give you the true scent of the season. What I love most about Candle Warmer is the large variety they have. Something for every room and every season. 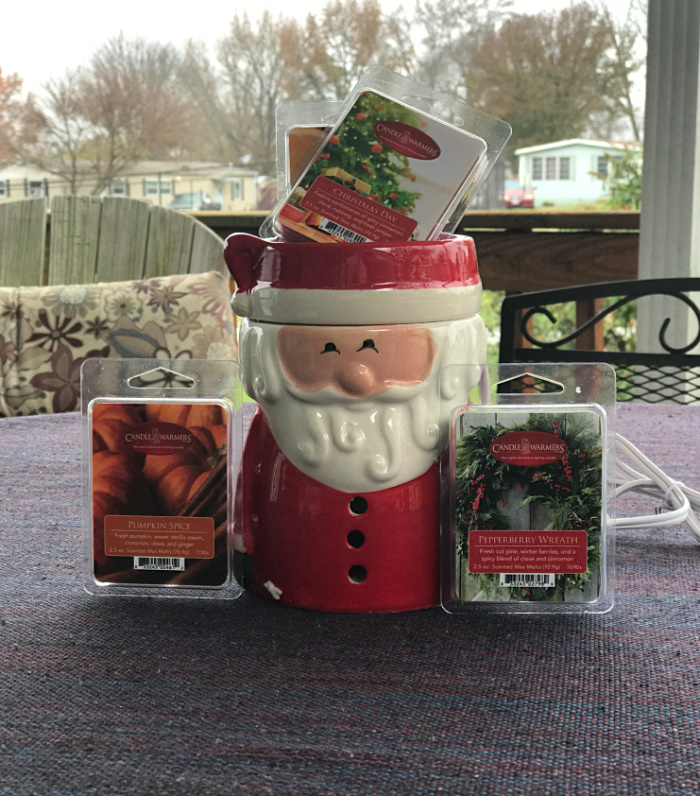 When Christmas is over, I will pull out a delightful winter color candle warmer and keep my home smelling great with scents of the winter season. Stay connected socially with Candle Warmers this holiday season and find the perfect scents and styles that fit your personal taste. They make great Christmas gifts for an office or family gathering!